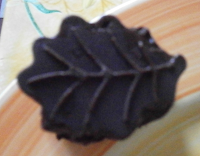 I just love this candy, and I was determined to succeed in doing it. Sadly, it was not an easy one! I found not one but two wrong recipes!!! For the first one, the marshmallow was a total disaster, and for the second, there was like faaaaar too much marshmallow for what I needed! Like I said, quite a challenge. This is the solemn moment where I declare I will never publish a recipe without trying it before myself! The photos are here to prove my relative success! I’m also learning to improve my photography "talents". Let’s go back to the bears. Call me stubborn, but I SUCCEEDED! Alright, now you want the proof. 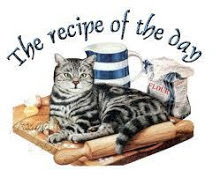 Let’s now see the good recipe, one that works: you will be glad to avoid the failure part of my adventure J I of course took into account the problems of proportion I had. Please not it takes time; the mixture has to rest several times. Oh, and you need moulds in shape of bears, of course. Dip the gelatine sheets into cold water. 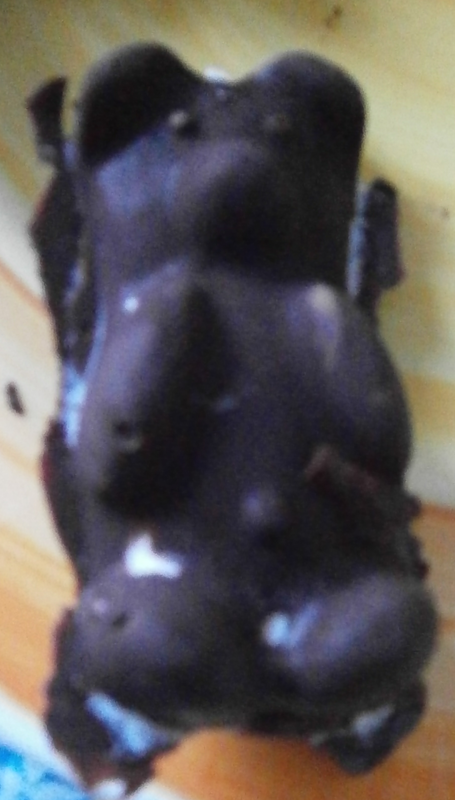 Melt the chocolate. Add some sunflower oil and beat so that the chocolate doesn’t get hard again (the chocolate needs to be liquid, it is easier). 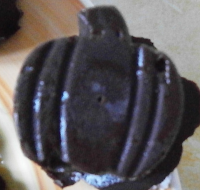 With a brush, put chocolate inside the moulds. Put in the freezer so that the chocolate gets hard. In a saucepan, put the sugar, the water and the honey. Cook during about 10 min. add the drained gelatine and let it dissolve. Stir. Meanwhile, beat the white eggs stiff with the icing sugar (about 10 min). Then, pour the syrup little by little and keep beating stiff. Take out the moulds and put the lukewarm marshmallows inside. Keep 1 hour in the freezer or the fridge (because of the gelatine, it won’t freeze if you put them in the freezer, even after days! Promise, I did try it!). Melt the chocolate again (it must be very liquid, otherwise it won’t stick on the marshmallow) and put it on the marshmallows. Replace it 1 hour in the freeze before unmolding very carefully. About the moulds: I had them in a kit with the disastrous first recipe. The recipe didn’t work, but the moulds did. As I had too much marshmallows, I used moulds with other shapes (after all, why not). As the moulds were deeper, it was even better. As I REALLY had too much marshmallows, I put the rest into muffin moulds so that I had giant marshmallows. That way I learnt that when you had syrup to meringue, it really takes a lot of volume (for 50cl syrup, I got 2 litres meringue. Try to remember that, you won’t spend a whole afternoon beating your eggs J). Last note, it doesn’t stay well at ambient temperature, it melts very fast. Keep it in the fridge or the freezer. Last trick: you could sprinkle the marshmallows with grated coconut. Of course, after so much time working on them, I had a very hard time eating them. What about you?